What are the benefits of business contract hire? To name a few; no deprecation, fixed monthly costs which are not seen as an asset on your balance sheet as well as tax benefits. It will also free up capital which can be invested back in your company. 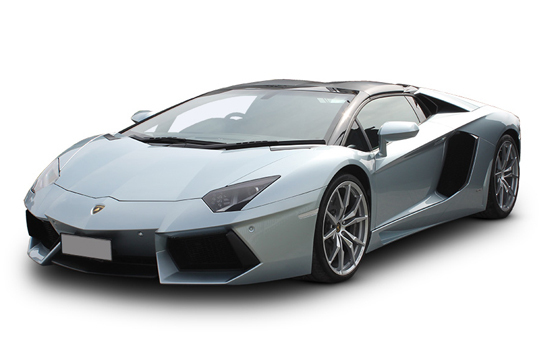 With business contract hire, do I keep the vehicle? No, this is not an option, if you are looking to keep the vehicle you might want to consider business contract purchase or business lease purchase. Can I claim VAT back with business contract hire? Yes, you can indeed, as long as you are VAT registered. What are the mileage limits? Here at CVSL we offer a variety of mileage packages, it is important to give us a realistic estimate of annual mileage as additional mileage will be charged. If you would like to increase your mileage, speak to an adviser today. Do Co2 emissions on my van affect anything? Is there anything I should be aware of? All Manufacturers are now running on Euro 6 engines so this should not affect anything unless you are travelling in and out of London. What deposit do I need to put down on a van? This all depends on the make of the vehicle, the length of the contract and your annual mileage. The equation for this is cost price of vehicle minus residual value (dependant on term and mileage) divided by monthly term equals customers monthly payments. What contract lengths are available? Contract length varies from 24 months to 60 months; this can be extended if needed. We do offer maintenance packages which with most finance companies includes a no quibble tyre policy that will cover you for punctures and damage, to give you piece of mind. Is Road Fund Licence included? Yes, with contract hire this is included in your monthly rentals. What age do I need to be to take out a van on business contract hire? The legal age for acquiring finance under the Consumer Credit Act is 18, however some funders require you to be 21. Here at CVSL we use a variety of finance funders. Do I own the van? No, the van remains property of the funder and the vehicle will be returned after your contract. Can I customise my van on business contract hire? Yes, you can customise your vehicle as long as the changes are legal and returned to how the vehicle was delivered . Here at CVSL we pride ourselves at delivering vehicles to trade, which often means optimising the vehicle to specific requirements which could be anything from pipe bars, van racks to wheel chair access. The cost for this can be included as part of your contract or alternatively you can choose to pay for them separately. What happens if my van is damaged when I hand this back in? Funders will charge for damage that is outside the BVRLA’s Fair Wear and Tear Guide. You should always read your contract; this will have all the information you need on damage. Do I have to pay for MOT? If you haven’t opted for a maintenance package, you are responsible for undergoing MOTs during contract duration. Can I insure the van under company insurance? Yes, you can, as long as your contract is in your company’s name. Can I insure my staff to drive the van? Yes, you will have to ability to add members of staff on your insurance. Do I get a courtesy van if I have been in accident? If you aren’t at fault, your insurance company may be able to supply a courtesy vehicle as part of your cover. Alternatively the repairing body shop might supply you with a replacement vehicle. Are you able to transfer my private number plates on to my vehicle? This is possible; however a small service charge might apply. CVSL have been setting standards since we were established in 1989. The company was founded by people who know their business inside out and whose aim has always been to provide the best possible service. Top class service at affordable prices? Read our independent reviews and see what our customers say about leasing a vehicle with CVSL. Not yet convinced? Get in touch with a member of the team today for more information and to hear about our latest offers. "Just to say it’s been very easy dealing with you and your company. Many thanks"
"Thank you for your help with this, quickest lease contract I have experienced, all done in 2 weeks, impressive! Everyone here is very pleased with the van." "I just wanted to say thank you for all your help sorting out the new car, I absolutely love it. Your help and advice was much appreciated and I am so glad I went with the Discovery rather than the initial ones I was looking at. Like the first time, you made the experience pretty straight forward so I appreciate the work you put in." "Thanks for the hard work and help Stuart." "Thank you for all your impeccable help as always. I am very impressed with my brand-new GLC." CVSL Limited is authorised and regulated by the Financial Conduct Authority (FCA) for the provision of consumer credit related brokering services only. We are a credit broker of vehicle finance, we are not a funder or lender.